Got this packet of choco from a friend after she'd back from an office event in Malaysia. 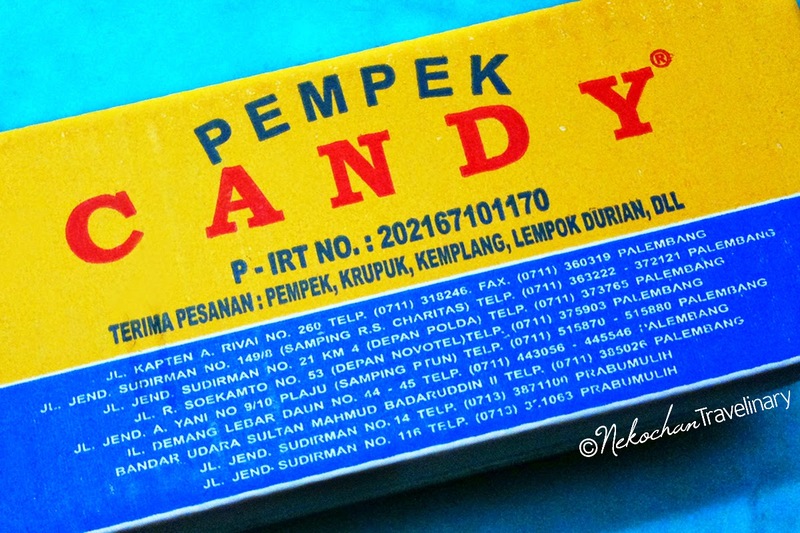 The packaging looks simple yet elegant with white background and chocolate tone on the front side. Its back side looks more eye catching with full gold background and black text only. Well, quite a nice packaging, but how's the content? 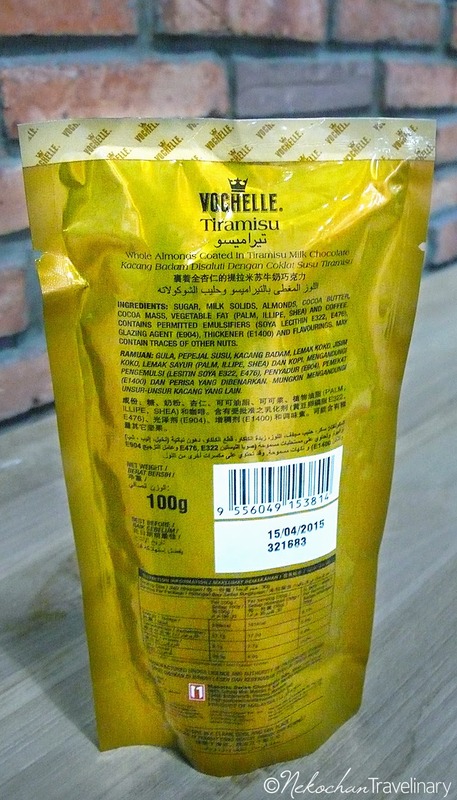 As a chocoholic I'd never refuse almost every kind of chocolate, so do this tiramisu choco. It seemed like an ordinary chocoballs (oval shaped actually), but I tasted a 'lil uniqueness in this product. There's a whole almond in every chocoballs, covered in milk chocolate with tiramisu flavour. The whole almond was still crunchy when we chewed together with its chocolate coating. 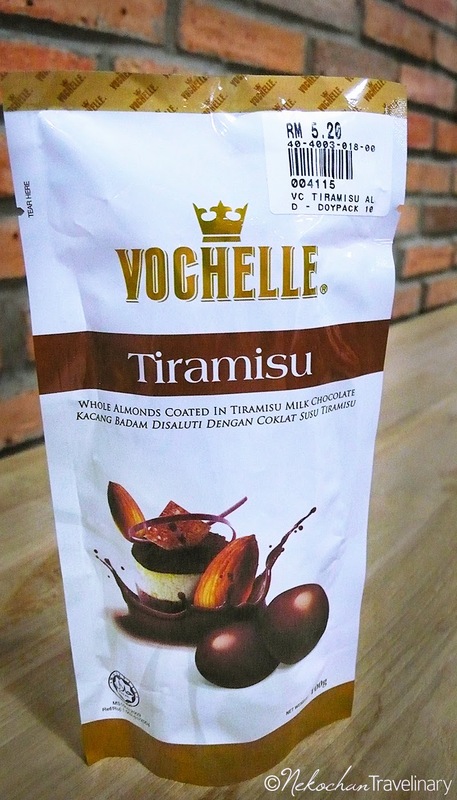 Honestly milk chocolate is not my favourite, but its tiramisu infusion made it better. That's why I couldn't stop to take it again and again.